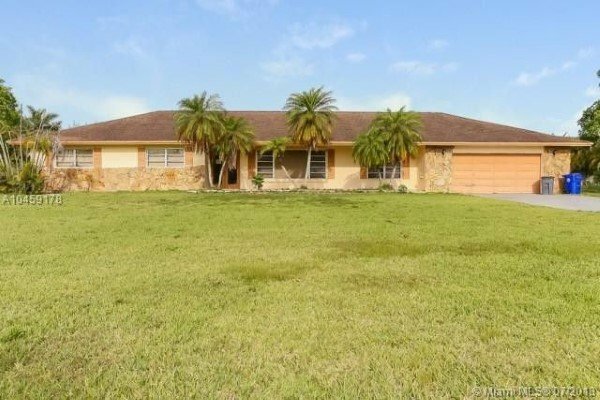 Gorgeous looking single family CBS home with 3 beds 2 baths and approximately 2,500 sq ft of living space in Southwest Ranches. The home is a little outdated but has some recent updates as well. This will need 2 new bathrooms and minor modifications but you will be in and out quickly. This homes also sits on nearly 2 acres that can be subdivided for a lower acquisition cost too. So many options on this one, act today.